Six weeks ago, I kicked off our very first entire room makeover in this house as part of the One Room Challenge, hosted by Linda of Calling It Home! Ever since, I have focused all my time and DIY efforts into this room, tackling everything from paint and wallpaper to storage and styling. 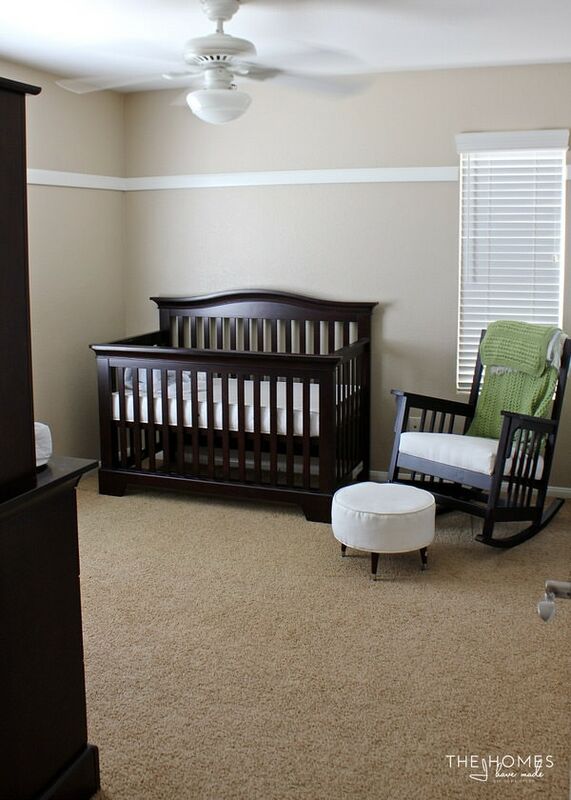 I am beyond thrilled to be proclaiming the room “done” with just a few weeks to spare before baby gets here, and I am so excited to share all the final details with you today! 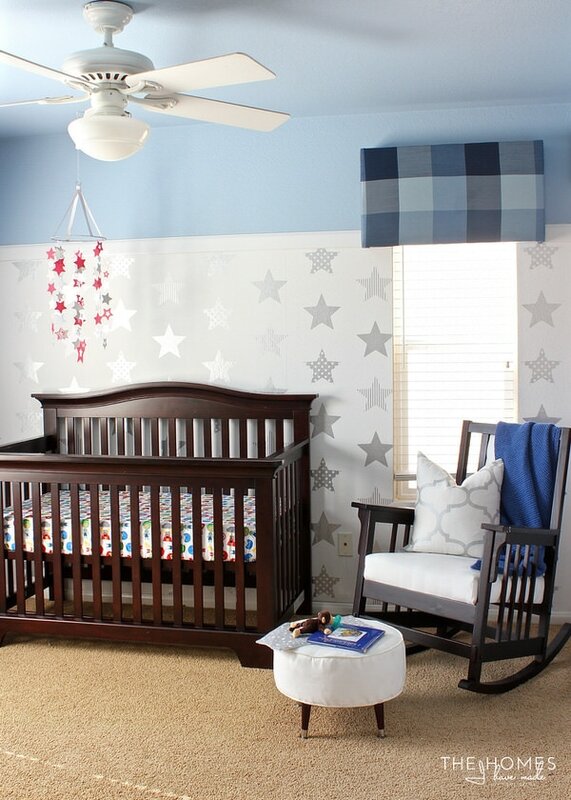 As many of you know, we have been waiting and praying to bring another baby into our family for a very long time, and working on every single element of this baby boy nursery transformation was truly a labor of love. I’ve got a lot of pictures to share with you today, so get comfy and let’s get to it! If you’re just stopping by for the first time, we moved into this rental home in Southern California this past summer. I started with a pretty neutral canvas in this upstairs bedroom and had big goals for transforming it into something bright, fresh, and functional. Here is a quick reminder of where we started 6 short weeks ago! 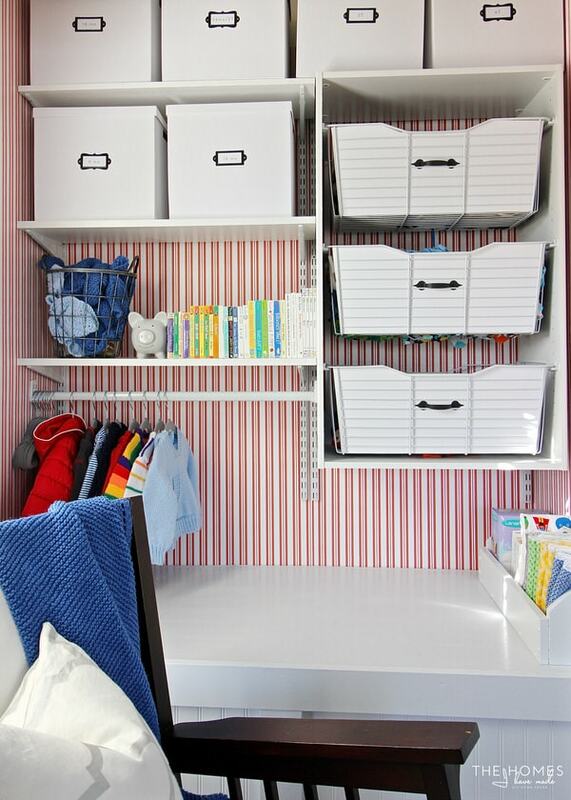 Now that you’re all caught up, come on in and have a look around this finished space! The long wall opposite the door is the main focal point of the room. 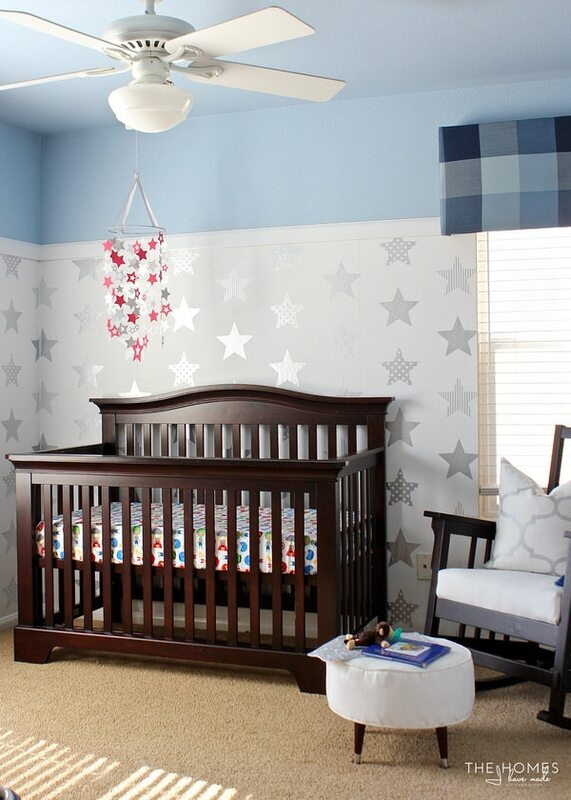 The sky-blue ceiling paired with the silver-and-white star wallpaper created a bright and fresh backdrop to our darker nursery furniture. 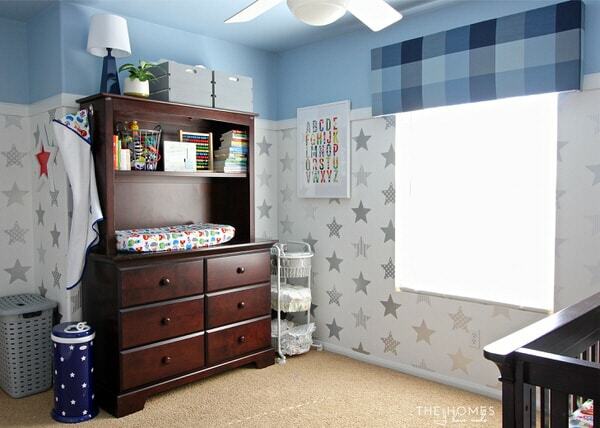 The entire jumping-off point for this room was the Super Hero Kids fabric by Ann Kelle. 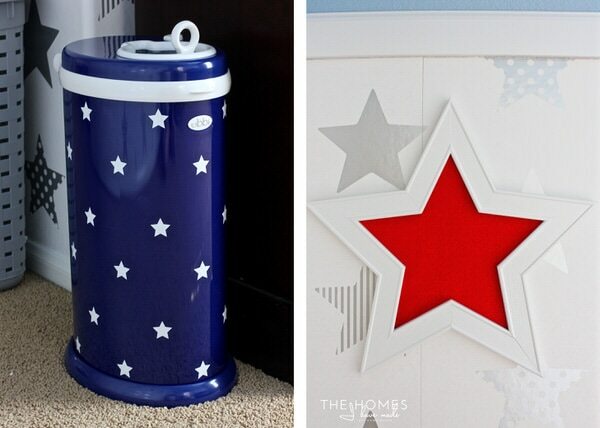 Not only did I use the primary colors in the fabric to accent the space, but the stars in the fabric also provided a secondary decor theme that is sprinkled throughout! 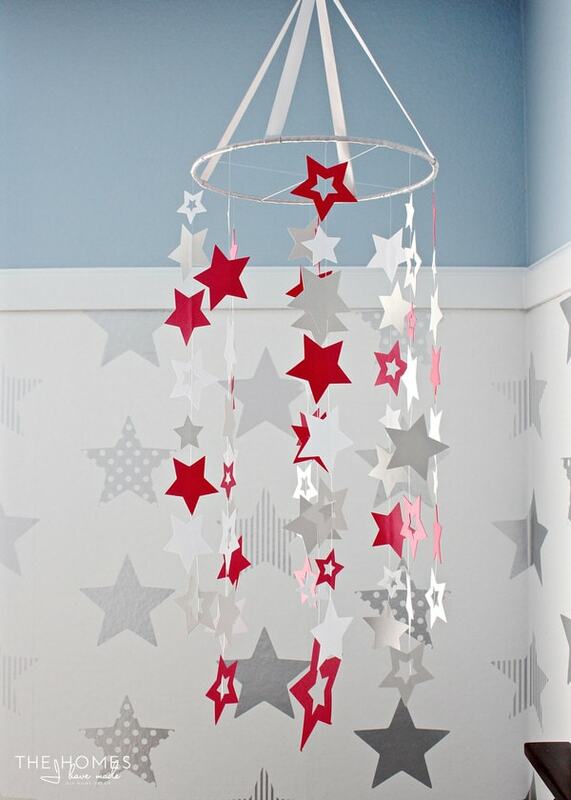 This wonderful star mobile was generously provided by Brandy of Brandalyn’s Paperie. 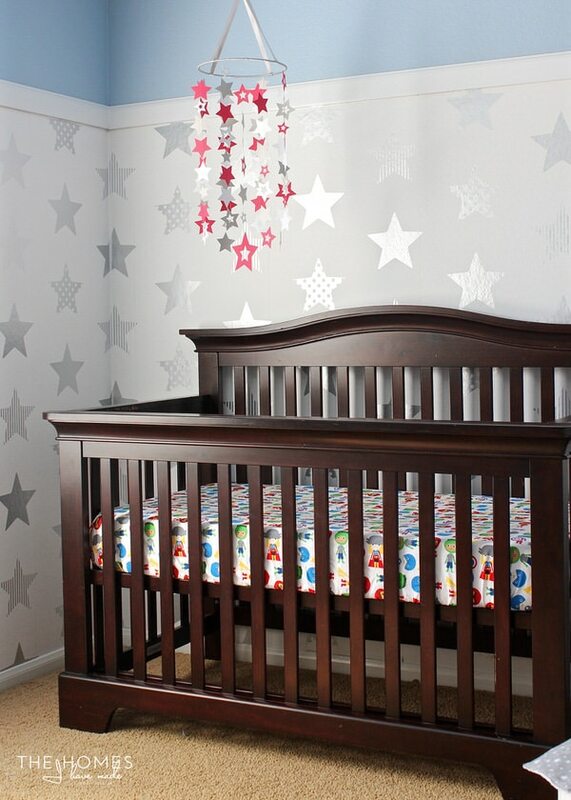 The paper stars are perfectly sized, spaced and hung to create a simple yet stunning arrangement above the crib. It really is the perfect accent to finish off this corner, and I couldn’t be more thrilled with what Brandy put together for this makeover! 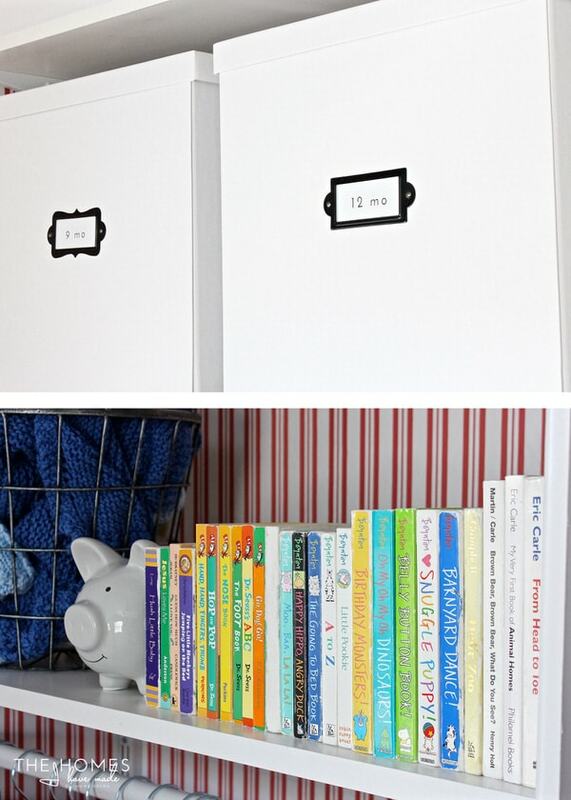 Be sure to check out her shop for other great paper products! 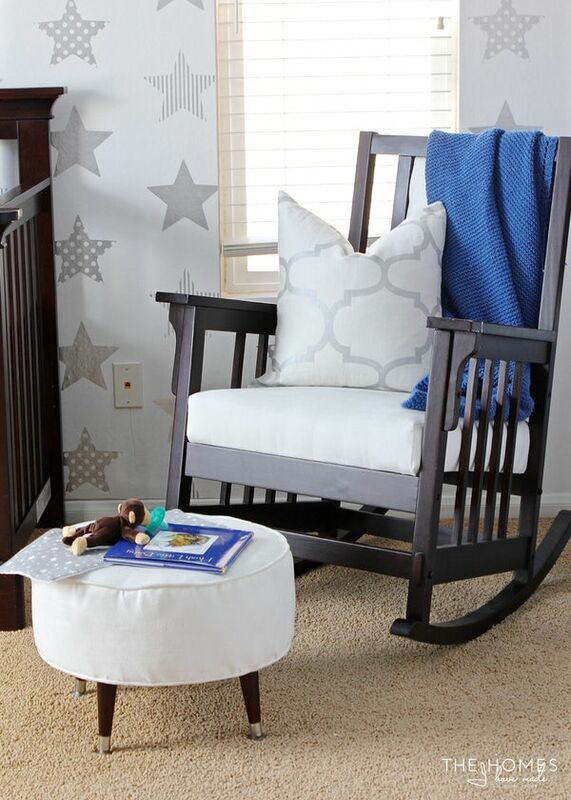 I transformed the rocking chair years ago and am thrilled with how well it’s held up over the years (and through 2 moves!). 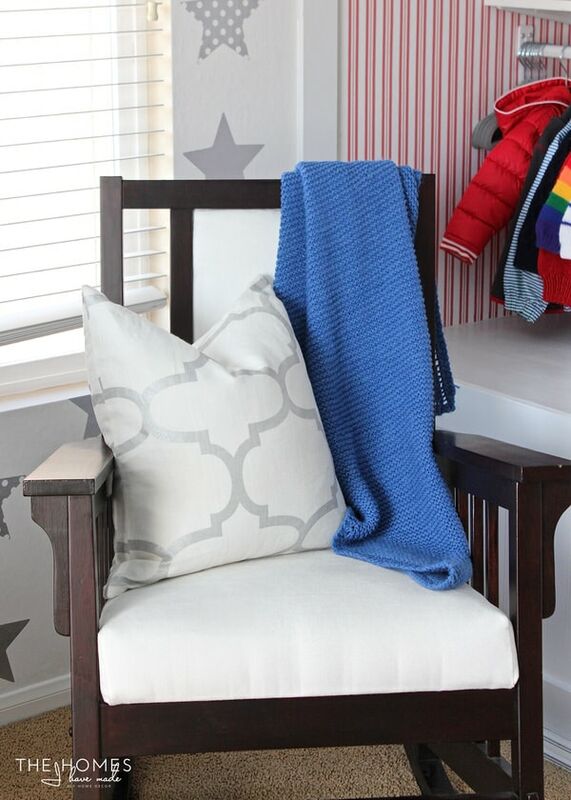 The white fabric felt like such a gamble, but its proved super durable and ultimately flexible as it moves from room to room as we move from house to house. 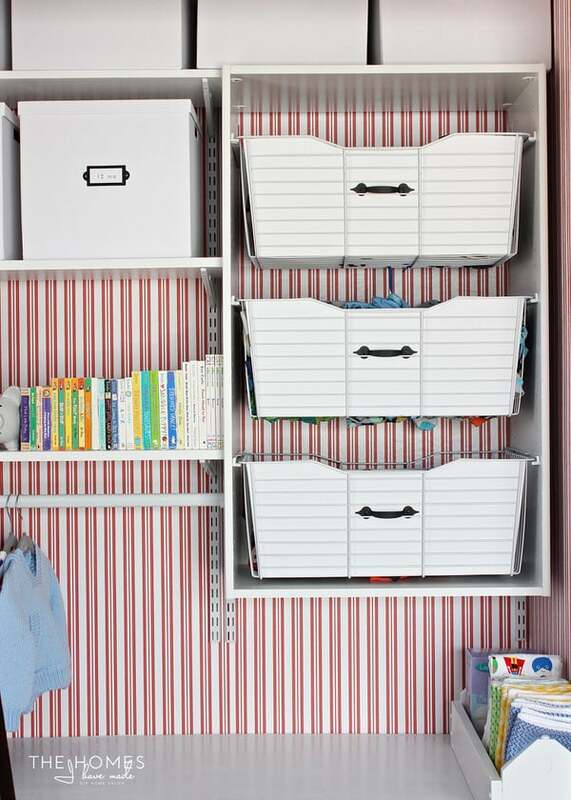 One of the biggest projects in the room was to create better storage in the closet. 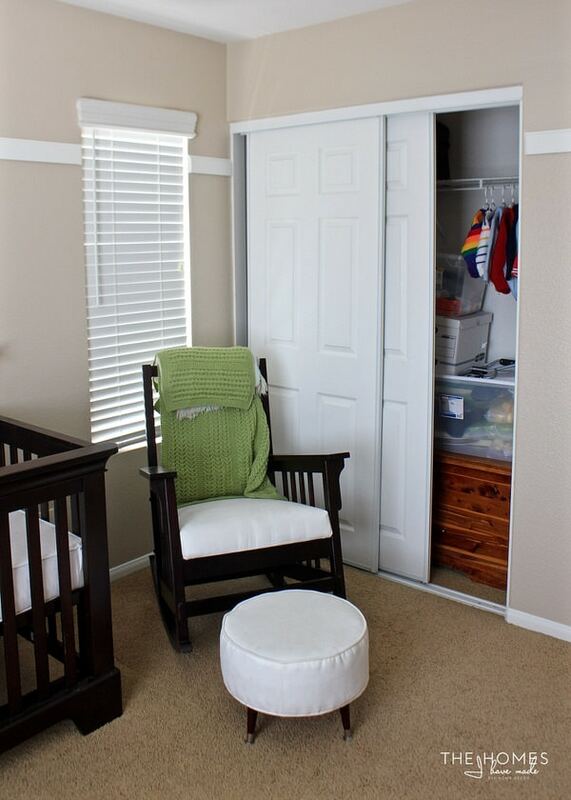 Not only did the previous sliding doors make it very difficult to access anything in the closet, but it really closed off the already-tight space between the crib and closet. 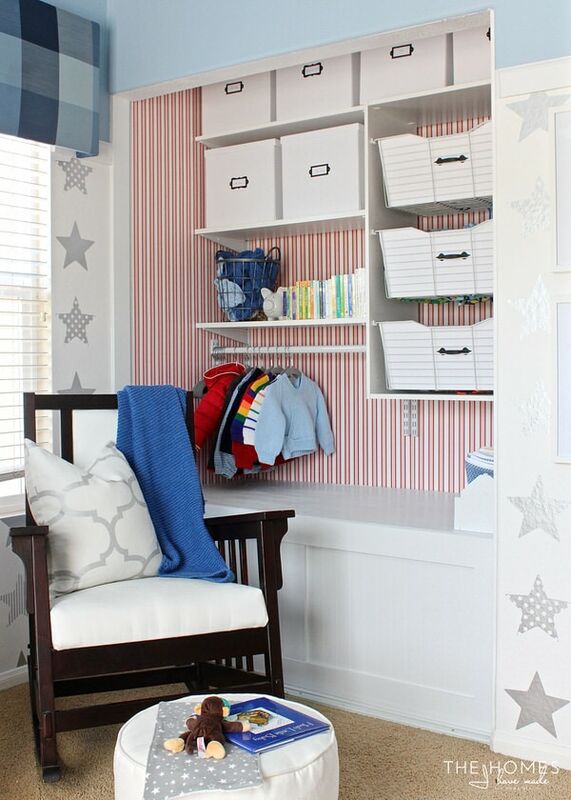 By removing the doors, constructing a built-in bench, and adding in lots more functional storage, the closet is not only a lot more functional and easier to access, but it sure is wonderful to look at too! 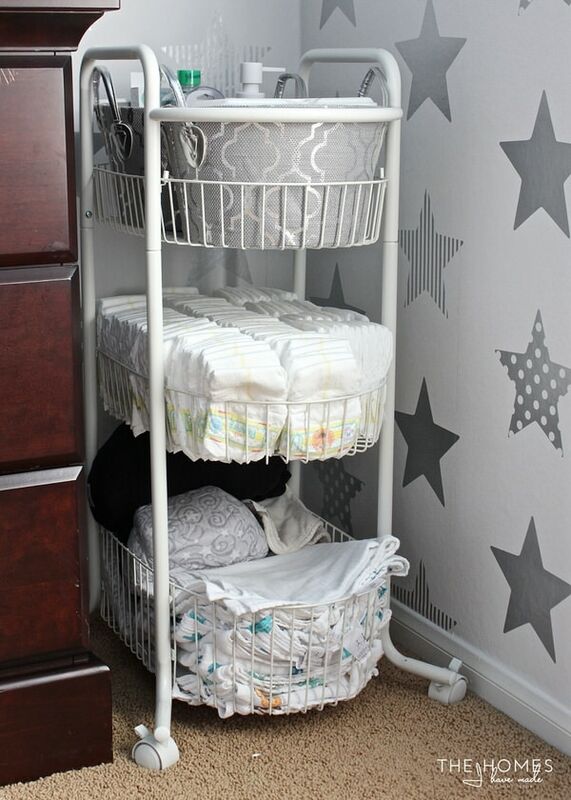 The closet now serves many functional purposes including as a side table to the rocker, as a folding surface for little laundry, and as the ultimate clothing storage station! 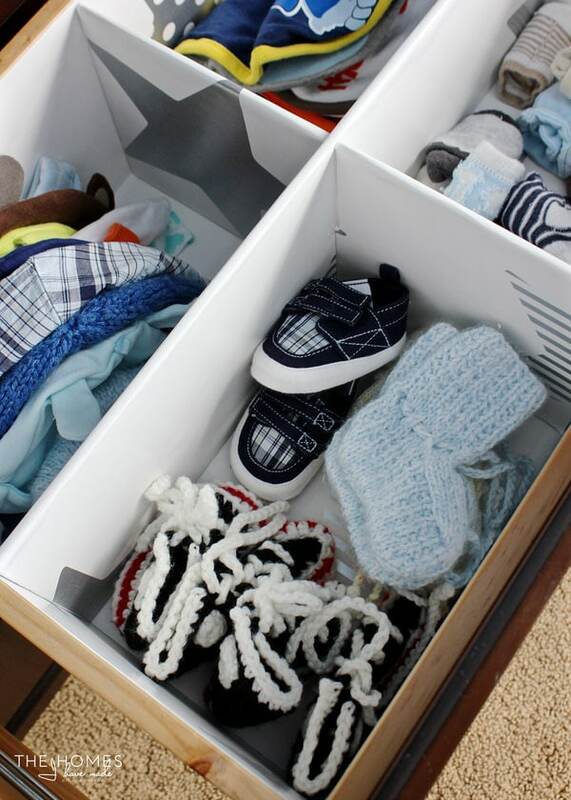 Everything from books, burp cloths, clothes, and shoes are now stored here! An old toolbox was given a fresh coat of paint and now works perfectly to hold all the feeding supplies we’ll need in the early months! 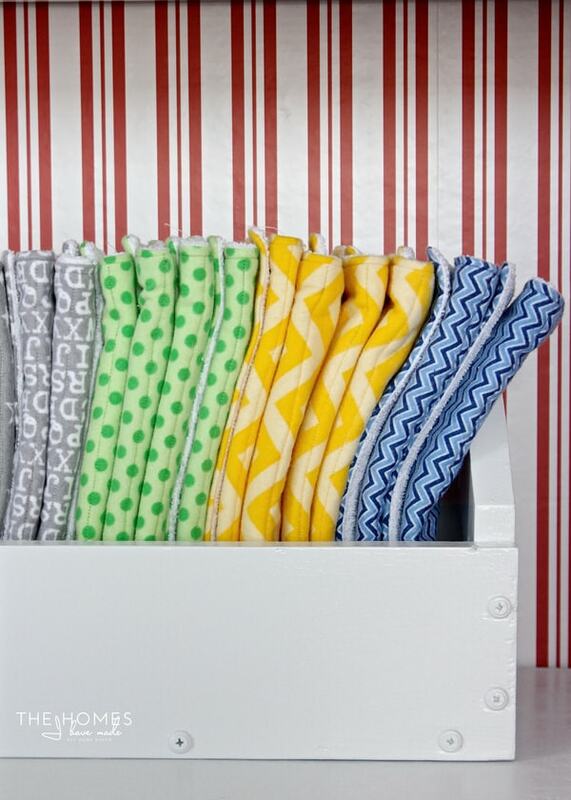 Those brightly-colored burp cloths are still one of my favorite things in the whole room! 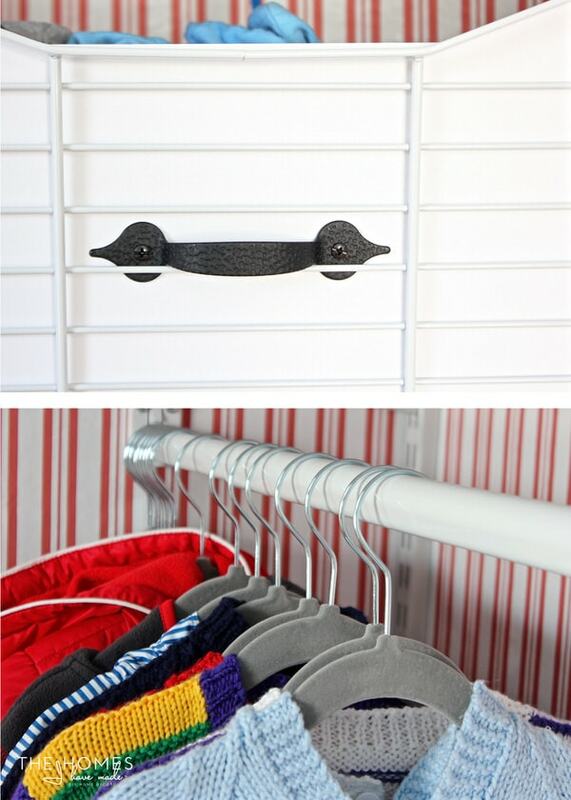 As you continue around the room, you come to an expanse of wall between the closet and door. 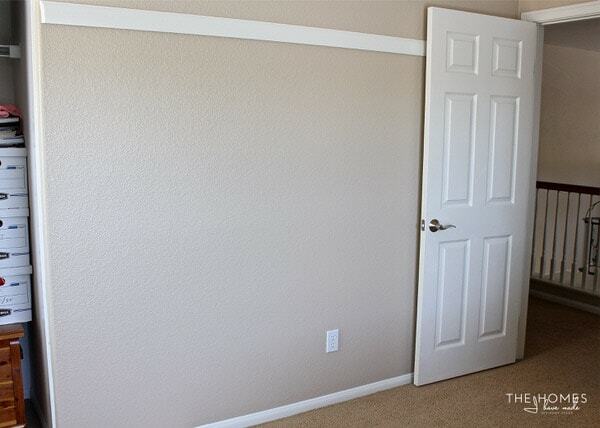 We wanted to keep it furniture free for good traffic flow, making it the ideal place to create a gallery wall! 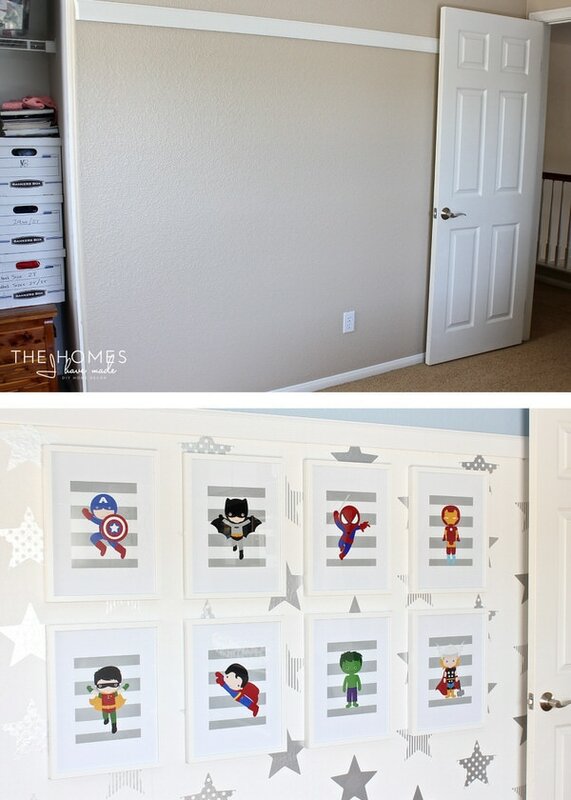 As I shared in my very first ORC post, these prints from Amy’s Simple Designs were what really pushed me to go for a super-hero-themed nursery. 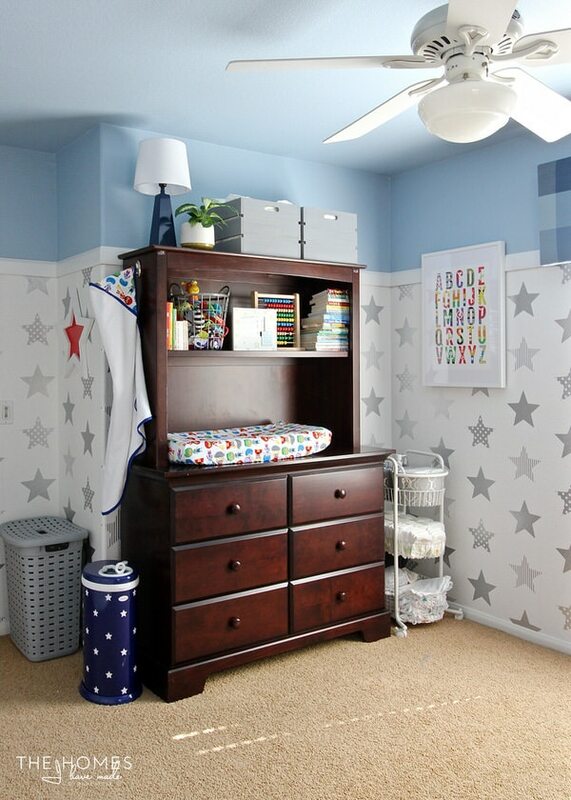 The kids dressed up as super heroes work so perfectly with the Super Hero Kids fabric and add the perfect amount of color and whimsy to this side of the room! 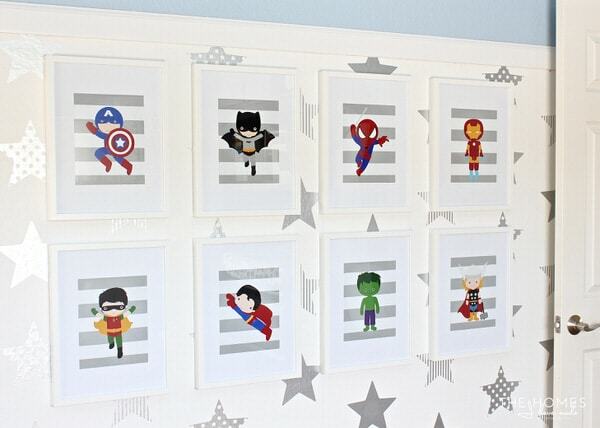 Amy’s shop is filled with so many fun prints and the quality is exceptional. 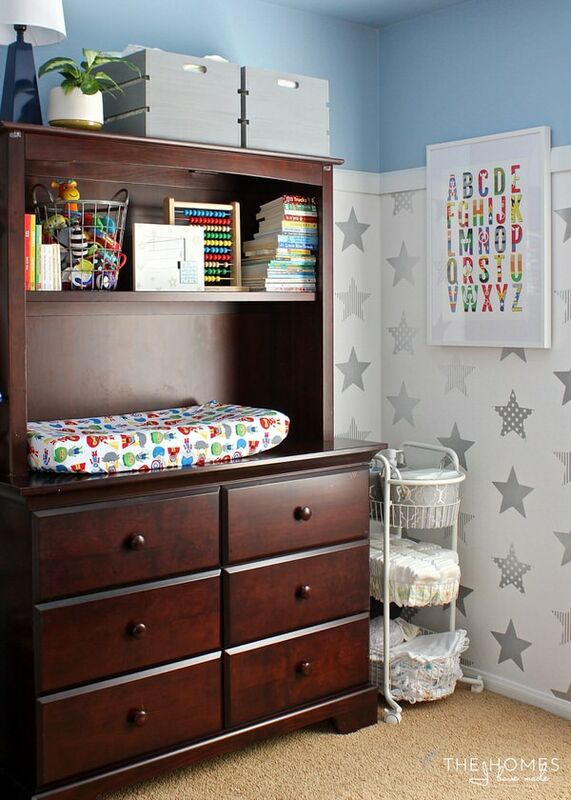 A big “thanks” to Amy for providing the prints for the space; they are easily Henry’s favorite part of the entire room! I love this corner so so so much (and it’s a good thing too, because I’ll be spending quite a bit of time in that chair!). 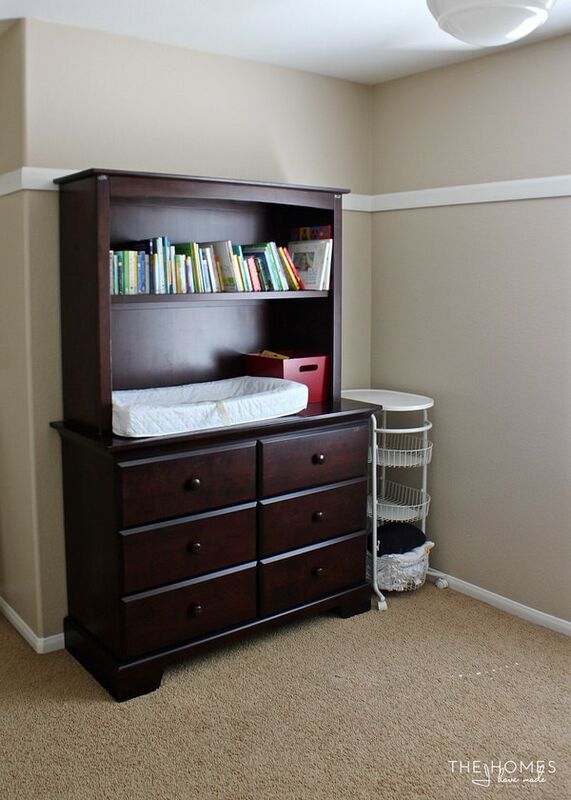 Not only is this corner a gem to look at, but we’ve outfitted it to be as functional as possible once baby arrives! 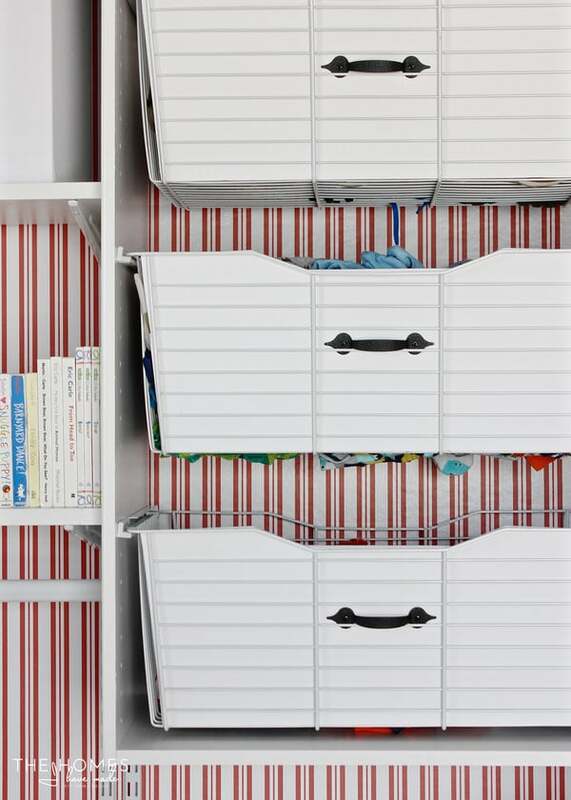 Beyond just outfitting the inside of the drawers, we added some other smart storage solutions elsewhere too! 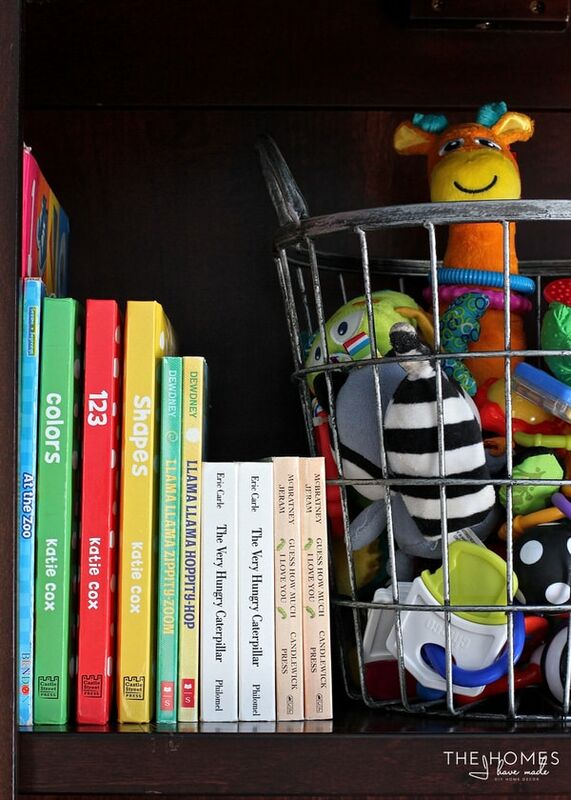 Since we were able to store so much in the closet and the dresser drawers themselves, this allowed me to put fun accessories and books on the top shelf of the hutch! 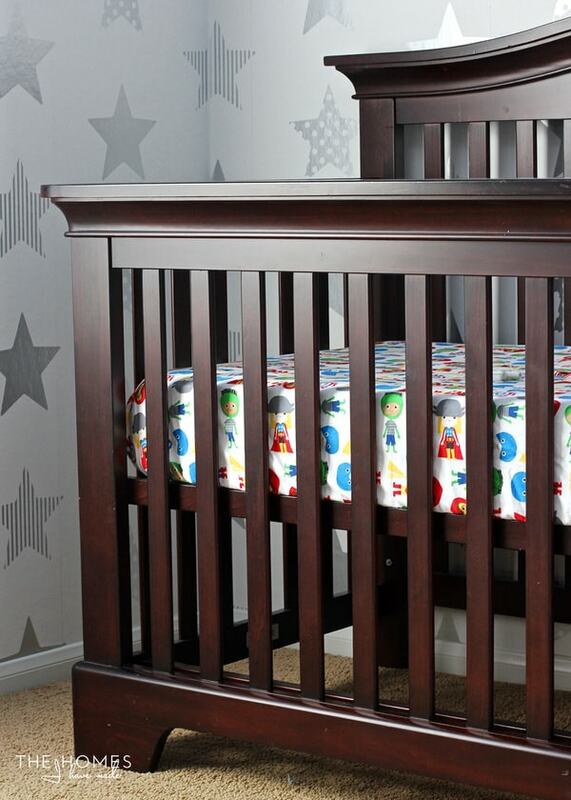 The wooden crates on the top hold our back supply of extra diapers and wipes. Thanks Sister! 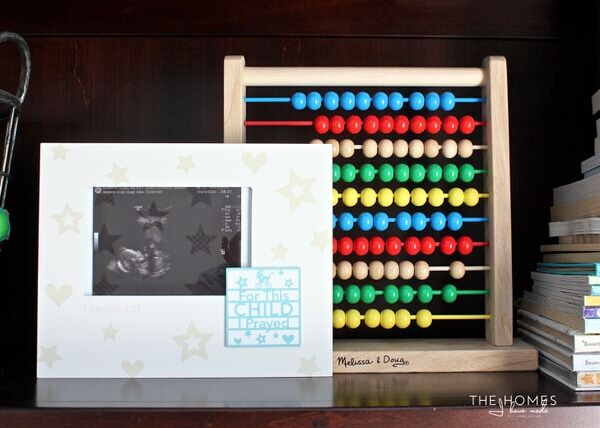 Even before we found out the baby’s gender and decided on the nursery theme, a dear friend gifted us this frame. I’m so struck by how perfect it ended up being in our space! 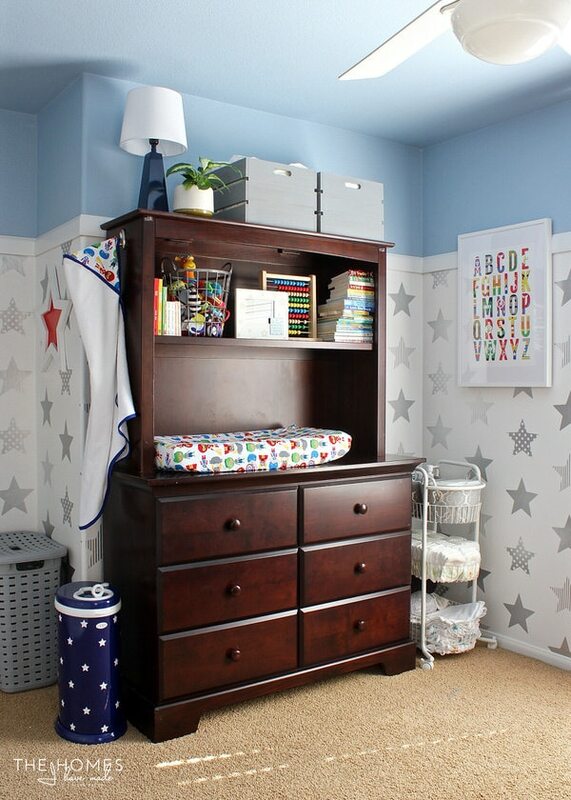 I was so excited to discover there was just enough space on this wall for the dresser as well as a rolling cart I snagged from IKEA on clearance years ago. 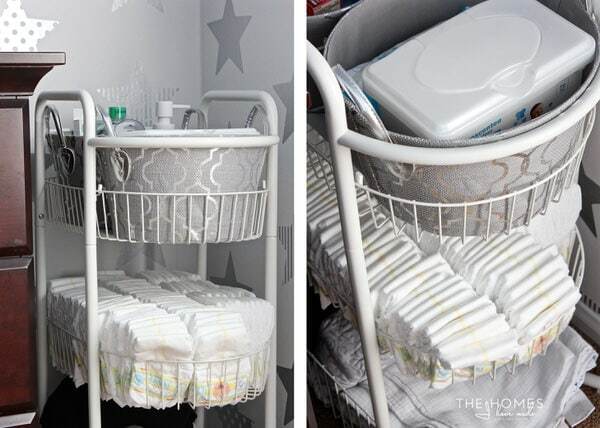 We removed the top of the cart and outfitted it with some perfectly-fitting baskets to hold more baby necessities! 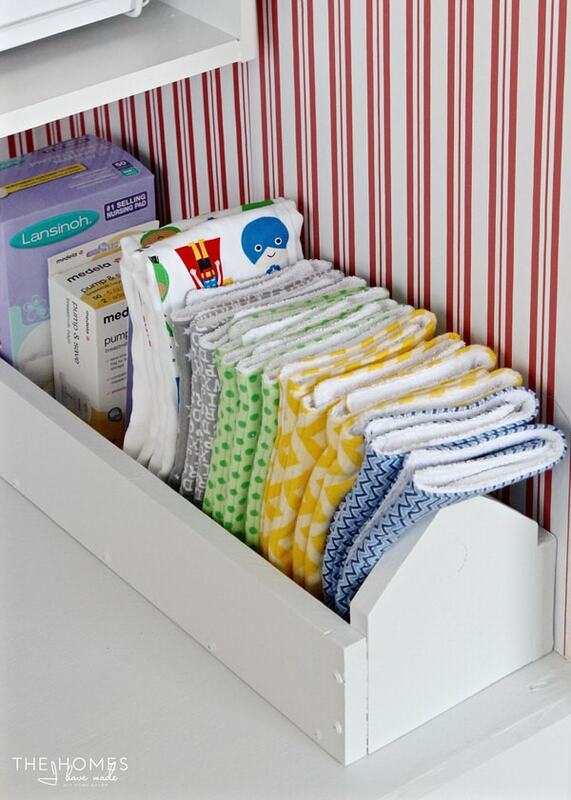 Everything we need for diaper changing, swaddling, and infant care is all stocked and ready to go. I love how easily accessible everything is in this cart! 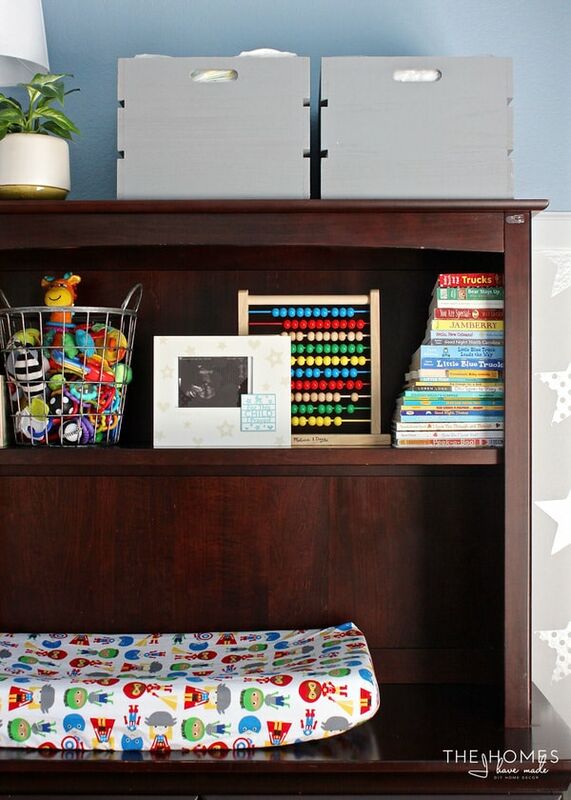 This corner is finished off so nicely by this awesome print from Sprout Jam. As soon as I saw it, I knew exactly where I wanted to put it. It’s another somewhat subtle super-hero accent that helps pull all the elements in the room together. Be sure you take a moment to check out their shop of amazing prints. And if you find something you love, which I know you will, use the code “THIHM” to get 15% off your entire order! 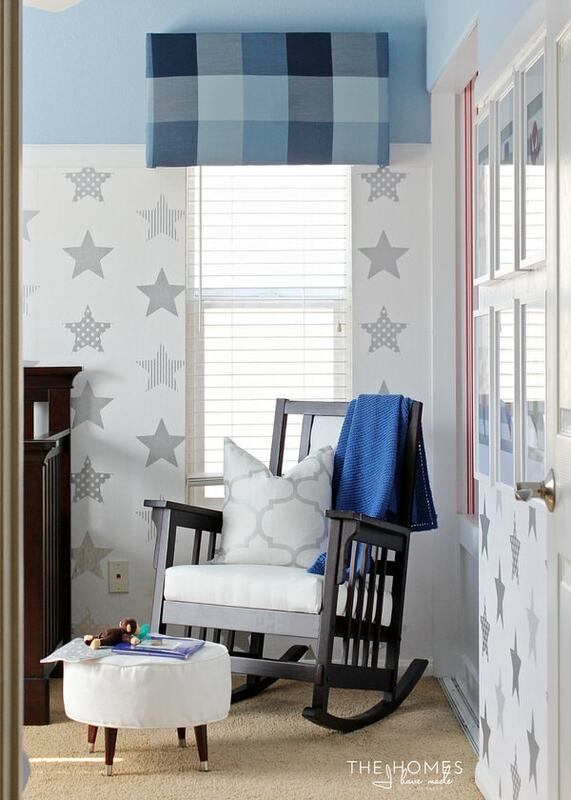 There are so many elements of this room that I love…but this view really is my favorite! There are obviously some other projects and updates I’ve made to this room in the final week that I haven’t yet shared in detail. Don’t worry, I will share every last detail in some other posts down the road. Today, I just wanted to stick to all the pretty pictures and enjoy the fruits of my labors! 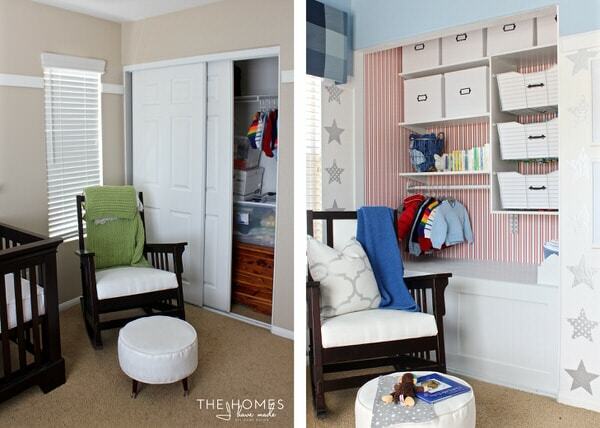 Before I sign off though, here are a few quick “before and afters” of each wall in the room. I’ve done my best to link up the products used in this room below. If I missed something, just let me know and I’ll add it in! I especially wanted to thank Sprout Jam, Amy’s Simple Designs, and Brandalyn’s Paperie for providing all the artwork for this space. Each of these shops offers really unique and high-quality products that truly provided the finishing touches to this room; I hope you will check them all out! Last but not least, don’t forget to visit the final room reveals of all the other participants by clicking here: So there you have it! I am beyond thrilled with how this room came together…and maybe even more excited that it’s truly done, fully stocked and ready to go for whenever baby boy makes his entrance. I’d love to hear what you think of the space in the comments below; and I hope you all have a great holiday weekend. If you need me, I’ll be sitting right there enjoying the one and only complete space in our house! 6 Easy DIY Thanksgiving Place Card Ideas! what a beautiful space for a boy! i love the walls so much! Yes yes yes!! This is a gorgeous transformation! 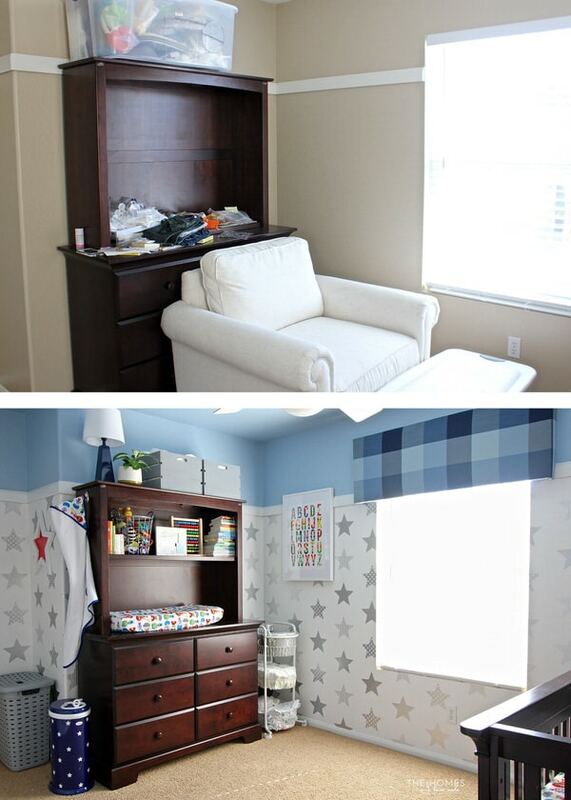 A dream room for any little boy. Excellent job! So sweet! 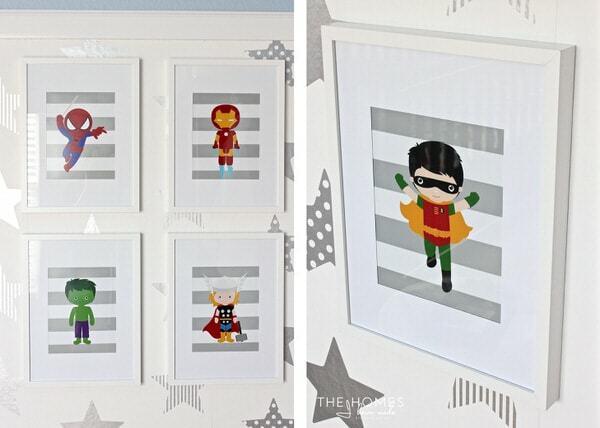 I love those super hero prints! Amazing! So so so good! 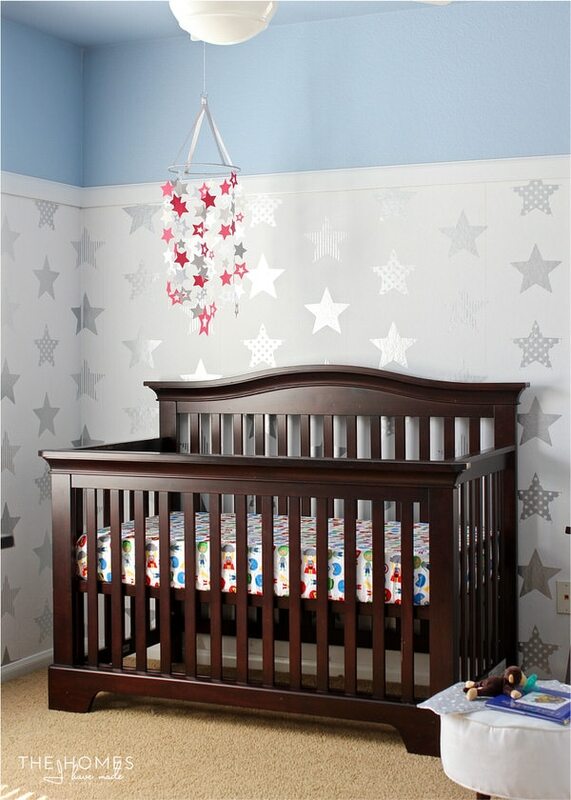 My favorite element is the closet and the mobile star above the crib! Enjoy!! I literally cried when I read your text about the gifted frame that fix perfectly with your theme and was about this baby you prayed for… So touched! 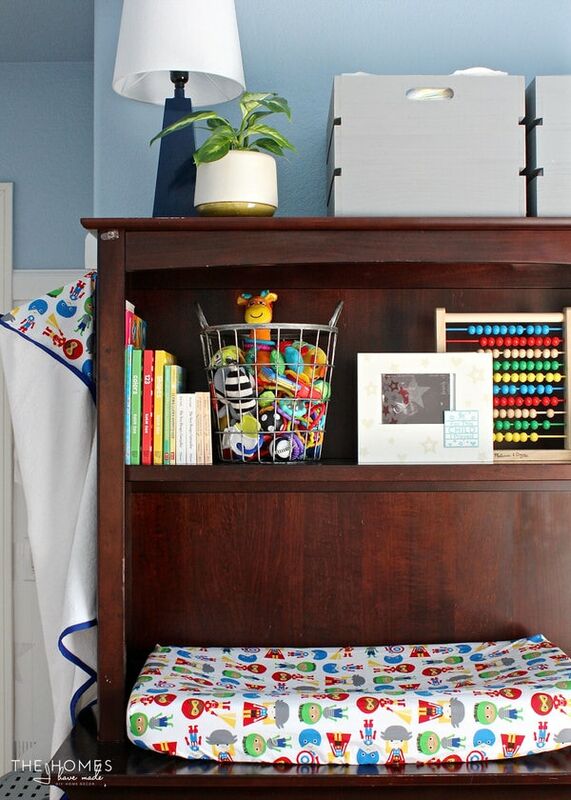 Love your room and your blog! 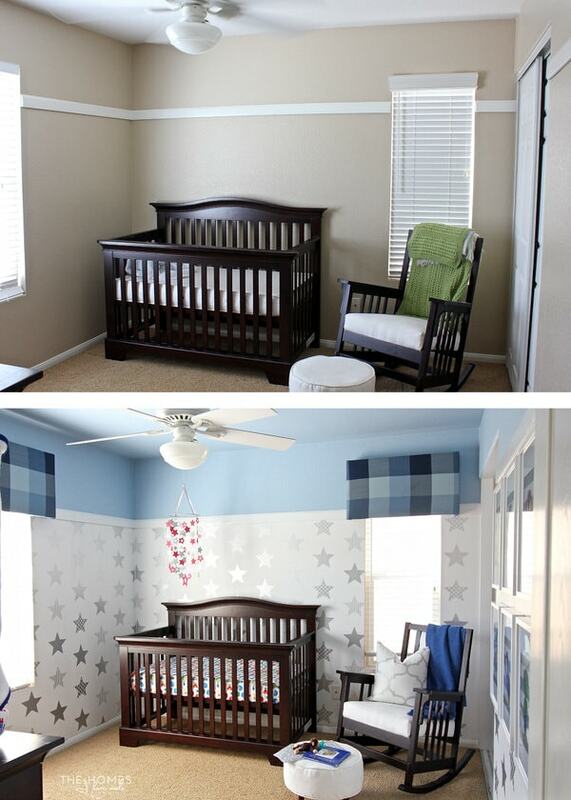 What a nice nursery, the rooms for our baby girls were nice of course but I never went so far to think of every detail. 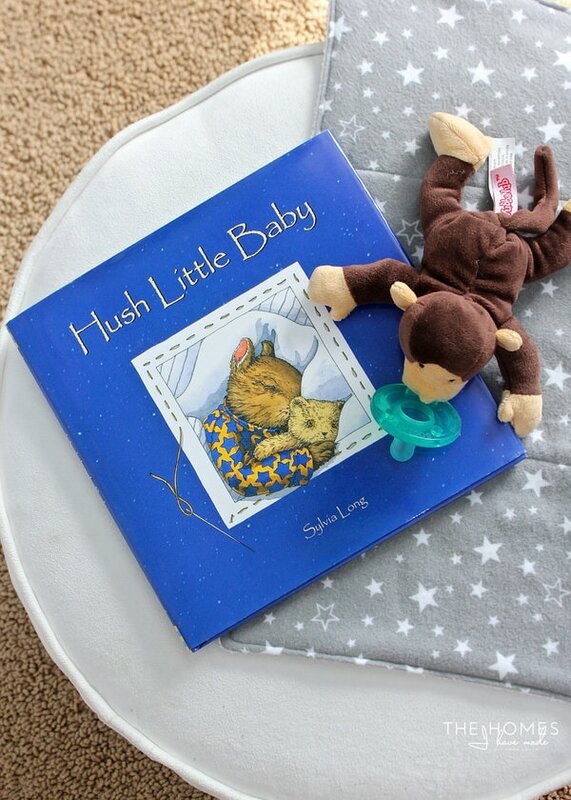 Baby boy will be happy here and you too, and we don’t forget too the daddy and Henry who both will spend nice time here too. I love everything really and you did a great job. Wow!!! What a beautiful transformation! Your oranizing skills are amazing. 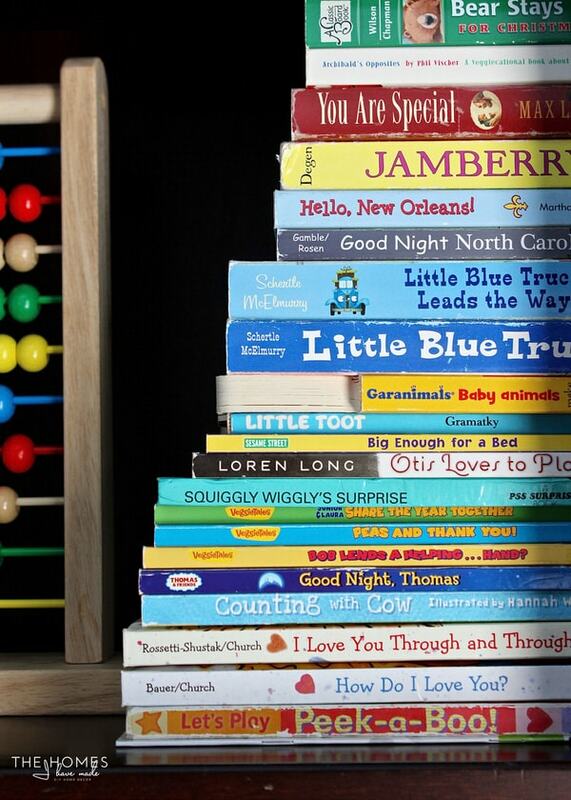 The choices that you made are perfect for a little boy! I cant believe that this is a rental home… well, good luck for your future adventure and enjoy every bit of it. 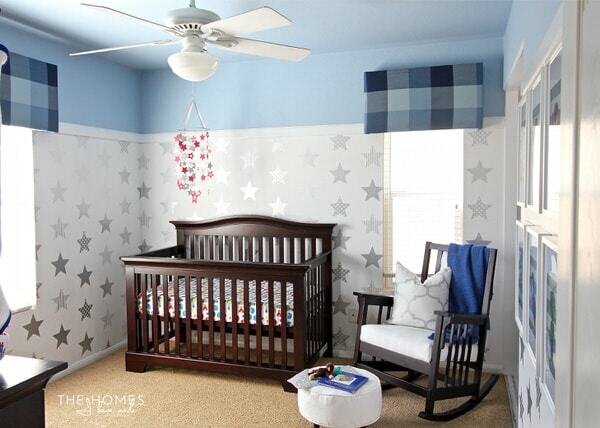 Oh my goodness, this room is darling! 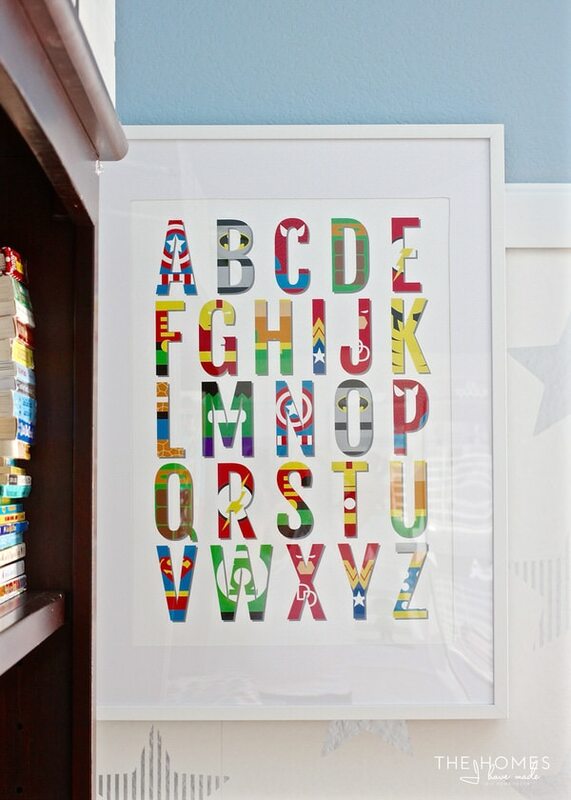 I love the alphabet print and all of the cute superhero touches. 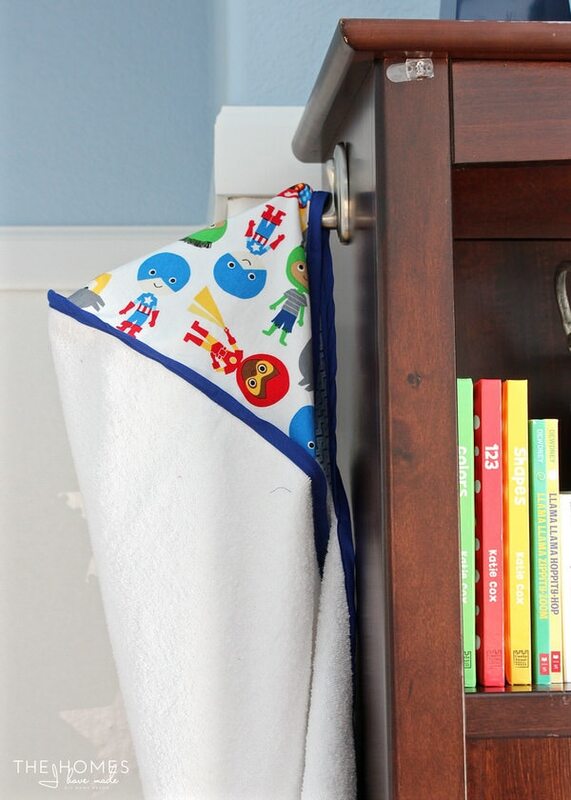 It’s really going to grow with your baby too. My boys still love superheroes, and they’re almost 6! What a cool project! What a sweet theme. 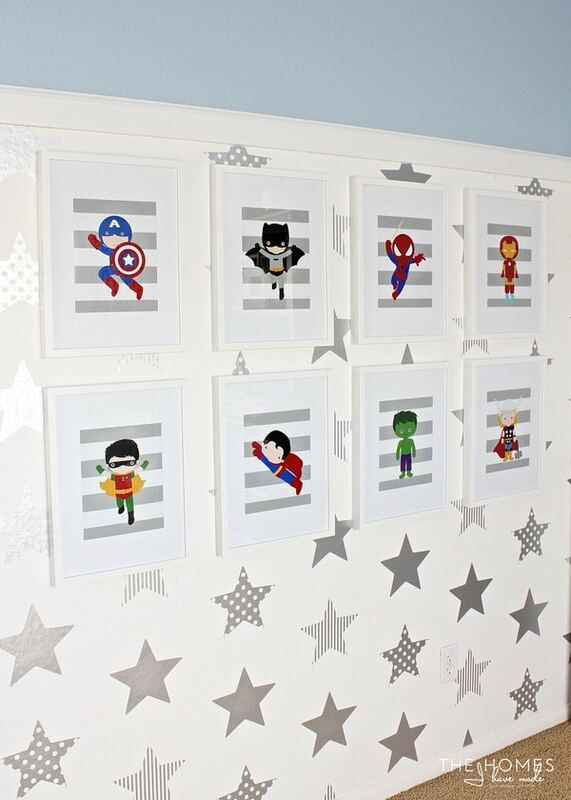 I love the superhero prints. 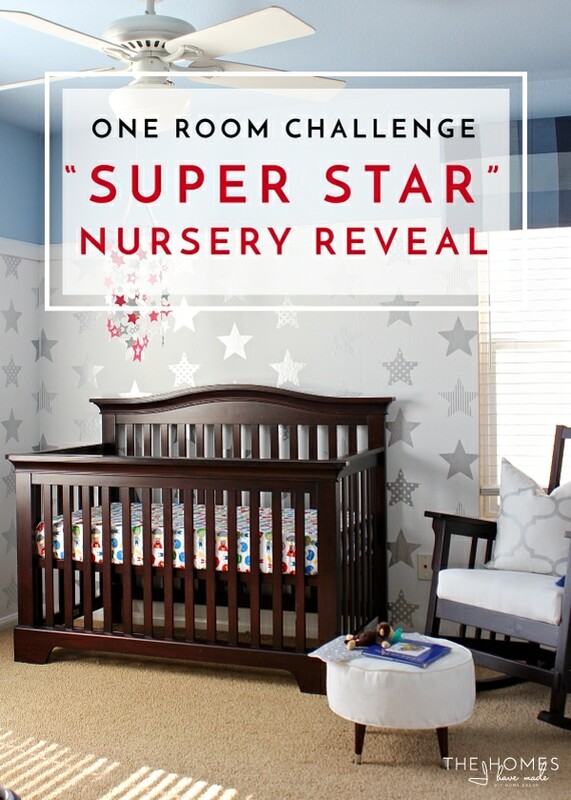 I wanted to let you know that I am featuring this in a nursery roundup if you don’t mind.